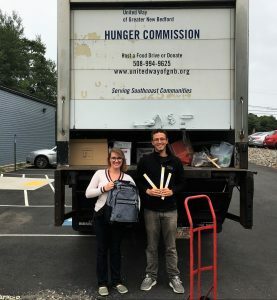 Bask, Inc., a Registered Marijuana Dispensary that has been operating in Fairhaven since July of 2017, has launched a new program to support Veterans in addition to several other initiatives to give back to the community through various donation drives, clean up programs, and recycling initiatives. In February of 2017, Bask opened its doors with regular hours to provide safe, laboratory tested cannabis to medical cannabis patients in the “Old Lottery Building” off Alden Road.The opening of the business marked a milestone for the company which went through a lengthy application process, including local permitting and approvals through the Fairhaven Board of Selectmen and the Planning Board. The renovation of the dilapidated lottery building was not without challenges. Bask hired many Fairhaven and area businesses to complete the $3,000,000 upgrade to convert the vacant building into a state-of-the-art cultivation, process­ing and storefront dispensary. The vision for Bask was not only to create a safe and clean environment for patients to access laboratory tested medical cannabis but to give back to the community that wel­comed their vision for a cannabis dispensary. 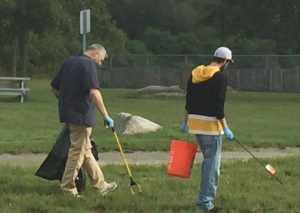 “We’re dedicated to educating our patients, cleaning up the environ­ment, giving back to our local community, and helping our Veterans,” said Chapman Dickerson, CEO of Bask. 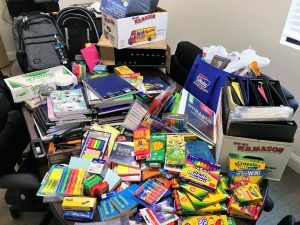 Some of these initiatives include sponsoring Fitness in the Park at Cushman Park, sponsoring and taking part in beach cleanups with Be The Solution to Pollution, and holding a school supply drive with United Way of Greater New Bedford to collect school supplies for local classrooms. Recently, Bask teamed up with Veterans Alternative Healing, Inc., a non-profit organization working to help find alternative ways for Veterans to manage their pain instead of using traditional opiates. “We have launched the Veteran Care Program (VCP) which provides substantial financial relief for 100% disabled Veterans to help reduce the cost of medical cannabis and reduce the use of highly addictive opiates,” explains CEO Chapman Dickerson. Medical cannabis is not covered by health care programs so patients pay out of pocket to access cannabis. As a veteran-led business, Dickerson understands how a program like this can make a difference. BASK has received Priority Certifica­tion by the Cannabis Control Commission which allows for expedited applications processing for Adult-Use Cannabis. The Town of Fairhaven is currently working on a By-Law to create a special permit process to regulate where Adult-Use (recreational) businesses may locate within Fairhaven. Currently, the by-law is restricting all Adult-Use businesses to the same area as the Medical Marijuana Overlay District which is only along Alden Road from Route 6 to just beyond Bask, Inc. This limited area is within the town’s industrial and commercial zoning area, not within downtown areas or near schools, churches, daycares or places where children congregate. Adult-Use, or Recreational, cannabis is a tightly regulated industry that provides access to Adults over 21 years of age. Members of the Fairhaven commu­nity are encouraged to interact with Bask staff and are always welcome to call 774-305-4749 or email info@ cometobask.com with any questions, comments or concerns about medical and adult-use/recreational cannabis. Visit www.cometobask.com for more information. 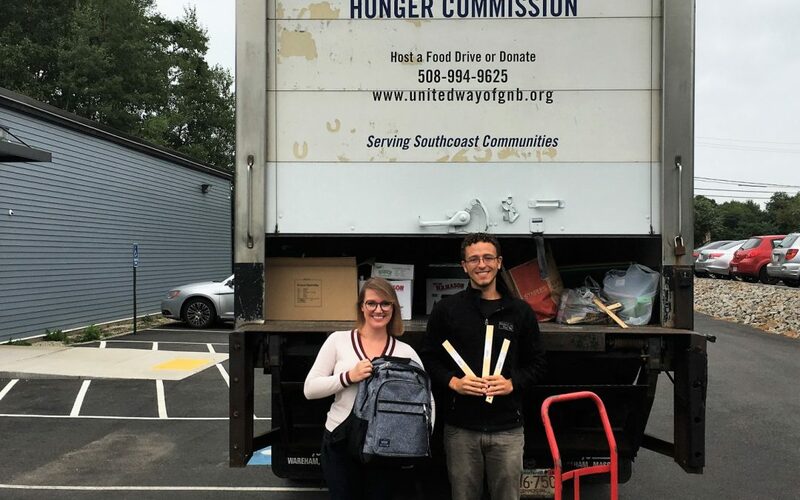 Bask staff member and United Way of Greater New Bedford fill the truck with donated school supplies. A few of the school supplies patients donated during the school supply drive at Bask. 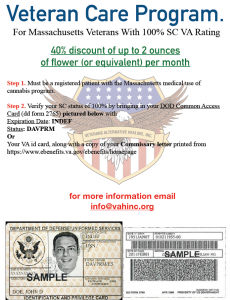 Bask has teamed up with Veterans Alternative Healing, Inc. to offer 40% off of 2 ounces of flower a month for 100% disabled Veterans. Bask CEO Chapman Dickerson and staff member Wade Allaire collect trash at Fort Phoenix. Bask sponsored Be The Solution to Pollution’s September Beach Cleanups. 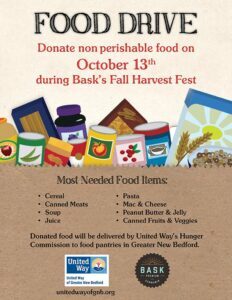 Bask will be holding a non-perishable food drive at the first annual Bask Fall Harvest Fest on October 13. All food will be donated to United Way of Greater New Bedford and distributed to food pantries across Greater New Bedford.